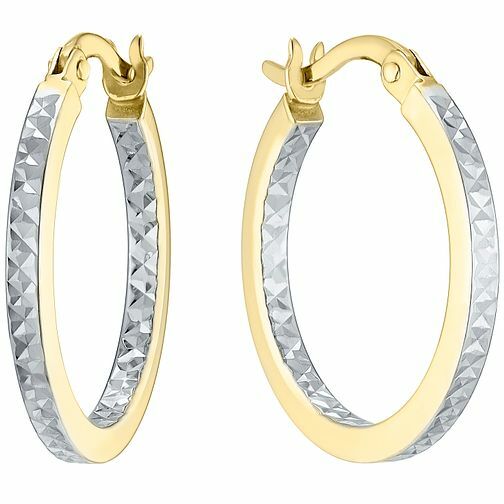 9ct White and Yellow Gold Creole Earrings is rated 5.0 out of 5 by 1. Rated 5 out of 5 by Anonymous from 9ct rose and white gold double hoop creole earrings Really pretty sparkly earrings. Just a nice size too.